After nearly two years of break, Anderson Silva steps into the octagon again to fight the undefeated striker Israel Adesanya. The two will meet this Saturday night. According to Dana White, Anderson Silva is a tough competitor and there is a chance he’d take another fight even if he losses to Israel Adesanya in a violent fashion. Anderson Silva has only one win in his last four fights. The Brazilian originally won Nick Diaz at UFC 183, but the result was overturned to no contest. “Spider” was tested positive on drostanolone and androstane, so NSAC punished him with one year outside of Octagon. Later he lost to Michael Bisping and Daniel Cormier. Silva defeated Derek Brunson at UFC 208. He was slated to meet Kelvin Gastelum two times in 2017, but USADA flagged him ahead of UFC Fight Night 122 due to a positive test on contaminated supplements, which led to another one-year of suspension. Adesanya has a kickboxing record of 75-5-1. Before UFC arrival, The New Zealander set a perfect MMA score of 11-0, where he ended all his foes via KO or TKO. “The Last Stylebender” debuted at UFC 221, where he destroyed Rob Wilkinson. Adesanya then earned two decision victories over Marvin Vettori and Brad Tavares. In his last UFC fight, Israel Adesanya stopped Derek Brunson at UFC 230 via first-round KO. 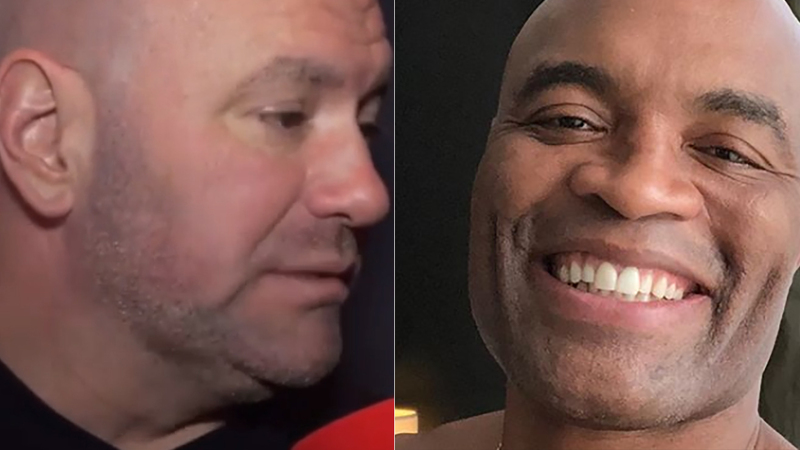 Dana White also says Anderson Silva might get a Middleweight title shot fight if he defeats Israel Adesanya. The current 185-pound king, Robert Whittaker, defends his title against Kelvin Gastelum in the main event of UFC 234. Do you think this will be the last fight for Anderson Silva?